Ireland’s legendary scrum-half Peter Stringer has revealed his all-time Dream Team for The Rugby Paper. 1.Os du Rant – I’d never seen a human this big until I played against the Springbok legend on an Ireland tour in 2004. Also surprisingly quick with good skills. 2.Keith Wood – He was the Ireland captain when I first came on the scene and he was a great leader. Always wanted the ball and didn’t mind a chip and chase. Gave Irish rugby a huge lift. 3.John Hayes – My old Munster mate gets the nod. Moved from lock to prop late on and worked very hard to become a cornerstone in our pack. 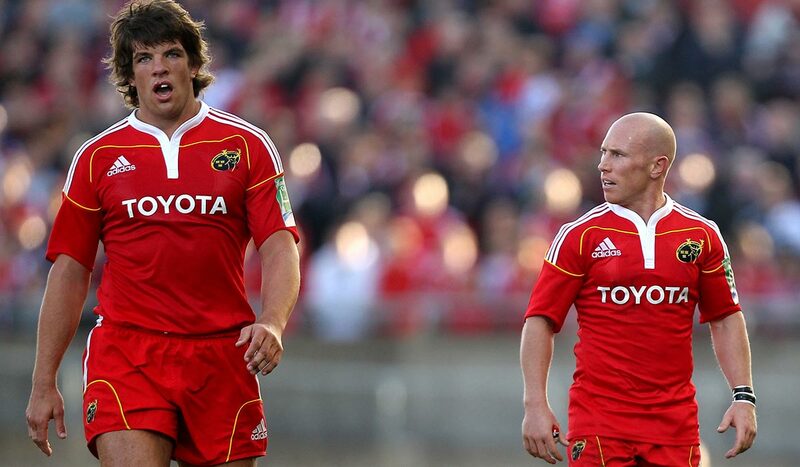 4.Donncha O’Callaghan – His attitude, professionalism and desire to become a better player set him apart. Key to Munster and Ireland’s success over a number of years. 5.Paul O’Connell – He’d be my captain in this team. An inspirational man who always demands the best from his teammates. When he speaks you listen and where he goes you follow.